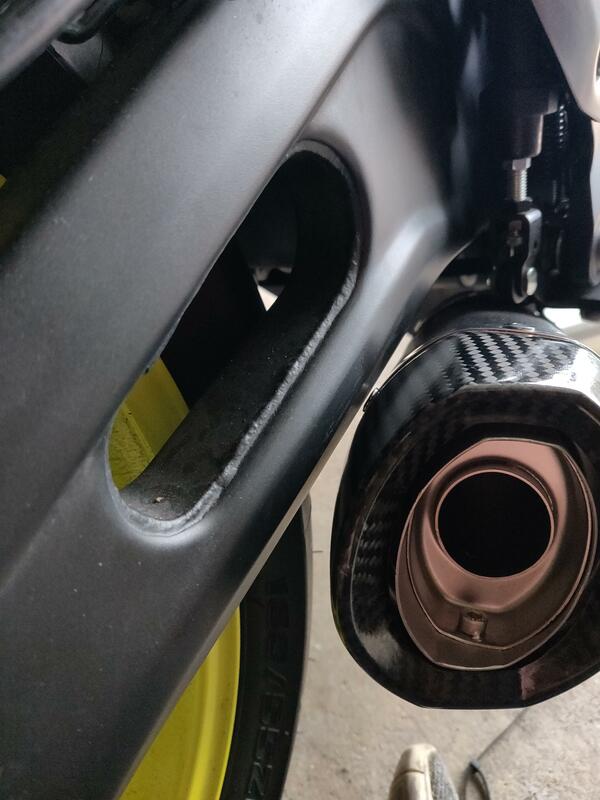 I just put this exhuast on my 2018 MT07 and I cannot seem to get the exhuast away from the swingarm. The only way I've gotten it to fit is if I only use one bolt on the bracket and drop it down a bit, but even then it looks a little too low to the ground. Does anyone else have this exhuast or any ideas? 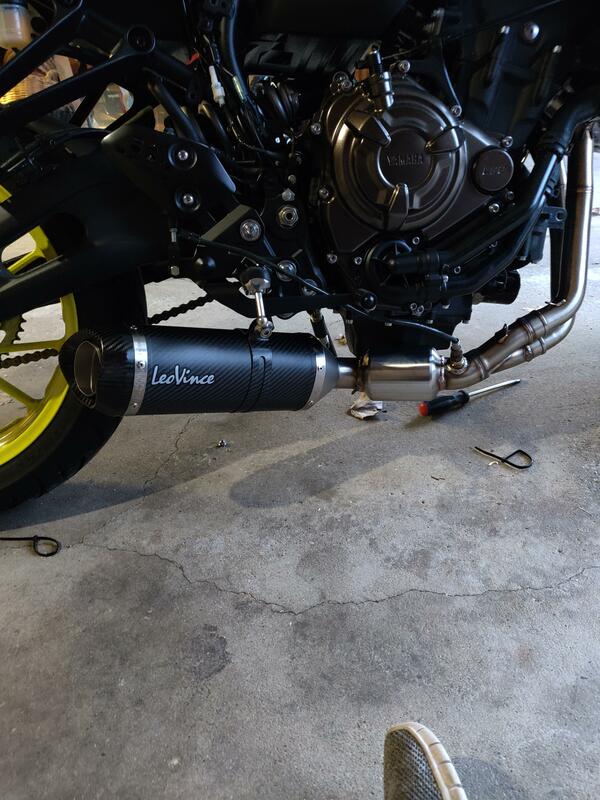 I bought a Chinese exhaust, and it just touches the swingarm. It really worried me until I realized that when I'm riding, my weight compresses the suspension enough that it clears by an inch or so. You might have someone sit on it to check how much clearance you have with the suspension compressed.